Breakout strategies are very popular for Forex and stock trading and as it can be noticed, they also work when it comes to big market cap cryptocurrencies. Considering that they offer opportunities to enter the market in the dominant direction of the order flow, we want to give you a simple strategy that any beginning trader can include in its trading plan. With-trend trading must be your priority if you want to generate returns by trading cryptocurrencies, and the breakout strategy is the right tool to do that. 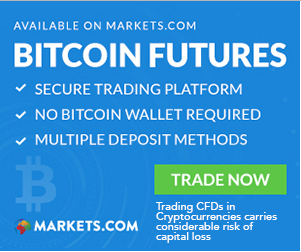 It does not matter whether you trade MGC cryptocurrencies, eToro, or any other broker. As long as you have interactive charts, you’ll be able to spot breakout trading opportunities. In order to explain the strategy better, we’ll use an actual example from the chart. Below you can see a Bitcoin 5-minutes chart from the beginning of April 2019, when the price surged impulsively to the upside. Or the most likely scenario is that a combination of both took place. Prior to the breakout bar, a particular market context must occur. Usually, before a breakout like this takes place, the market is gradually pushing the price towards the key level that will eventually be broken, and volatility is contracting. In our particular case, Bitcoin had been steadily climbing for several weeks in a row, while volatility had been increasingly smaller. As you can see, this type of setup can be traded even on smaller time frames, meaning you do not have to wait for weeks in a row in order to spot a similar move. How to trade the setup? The best way to trade the setup is to first spot the significant support/resistance level you expect to be broken. When the breakout candle starts to unfold, wait until it closes and see if it closes towards the highs. If it does, place your trade when the candle closes, put your stop loss little below/above the candle and target another important support/resistance level, or at least twice the size of the breakout candles, in order to have a 2:1 reward to risk ratio.